Happy New Year!!! It’s hard to believe another year has come and gone! The holidays have been really nice this year but I’m starting to look forward to that first week of January. It’s fun to start fresh and make plans for a new year. We will be sorting and purging and cleaning and of course baking. 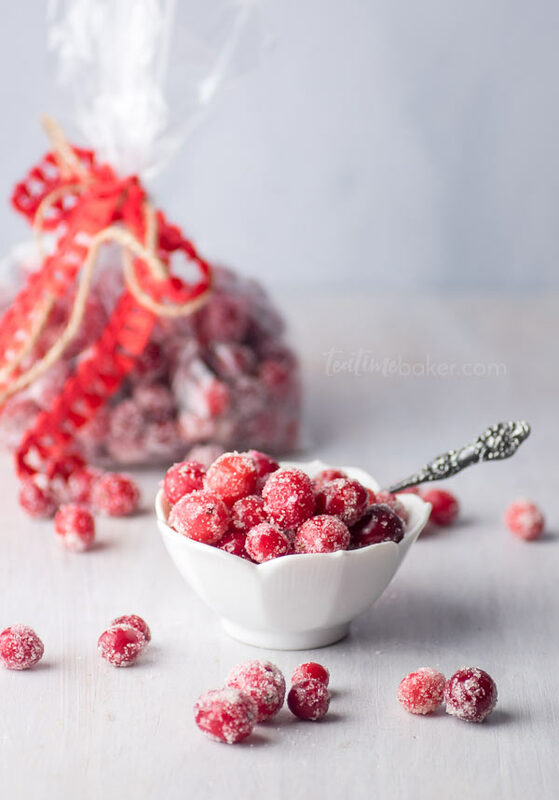 But first I’m making these Boozy Sugared Cranberries for our annual New Year’s Eve party. We like to do a drop in potluck/buffet style party with our friends who we haven’t seen during this busy season. I usually make snack foods and treats and our friends bring something to share as well. Most of our friends like to play board games like Ticket to Ride, Dominion, Sushi Go etc. I recently found the game 7 Wonders brand new at a thrift store and the kids (and adults) LOVE it! What are your favorite games? 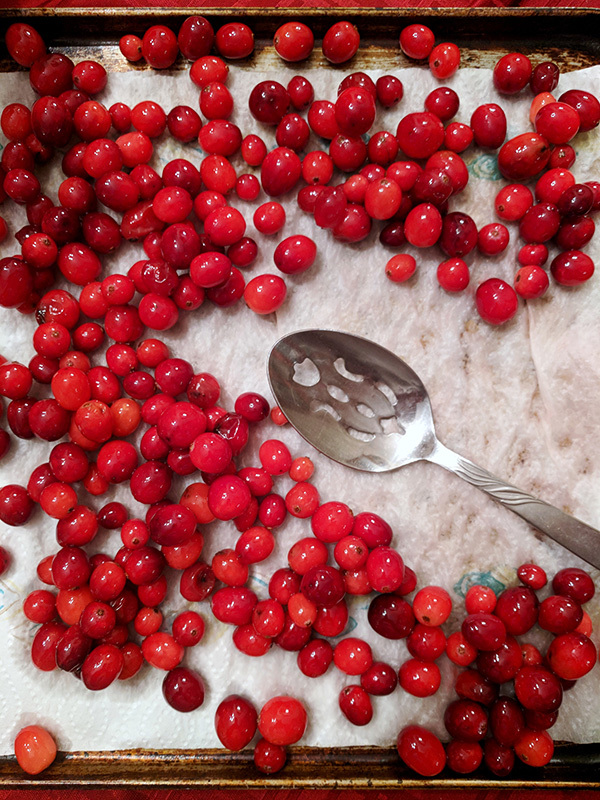 Cranberries are pretty much a given at any Thanksgiving table. Some people love the jello like “sauce” out of the can and some hate it. Personally I’m not a fan. 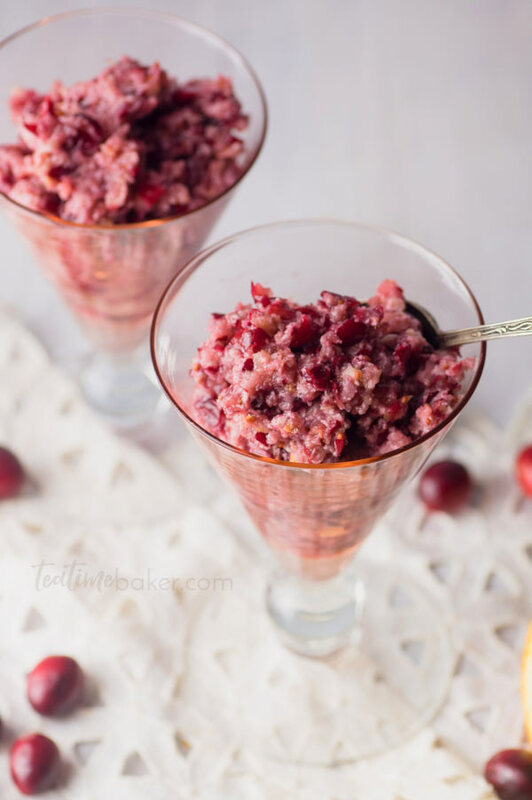 I prefer this Fresh Cranberry Salad which is super easy to make and has such a lovely sweet/tart flavor that you just want to keep eating it! 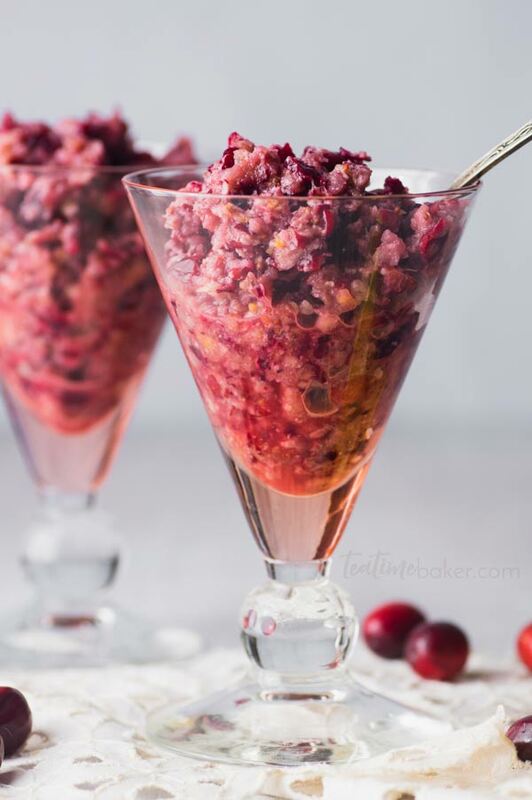 My family has been making a variation of this for holiday meals as long as I can remember. This year I tweaked it just a little to perfect a result that I know I can replicate in the future. It’s also pretty! I wanted to photograph it in these cute little tinted pink glasses and then I realized that would be a great way to serve it too. I’m keeping my eye out for enough small footed glasses that we can put them on the table for the holidays this year. Plus it guarantees that you won’t accidentally get gravy running into it!